Is The Yellowstone Super Volcano Getting Ready To Erupt? Did you know that the largest super-volcano in the world is the one situated under the Yellowstone National Park in Wyoming in the United States? But what is a super volcano and how would a super eruption affect our planet and our way of life? The definition of a super-volcano is a volcano that when it erupts it has the capability of producing more than a 1,000 cubic kilometres of ejecta. There are what are known as ‘hotspots’ around the world, where boiling hot magma rises into the Earth’s crust, but cannot break through. 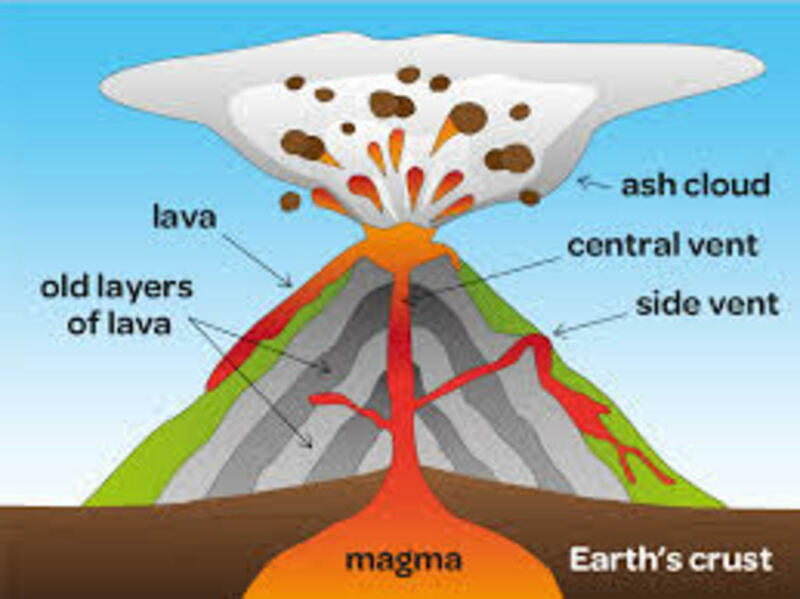 The magma starts to pool and the pressure builds up until the Earth’s crust can no longer take it and a huge, violent volcanic eruption occurs. These super-volcano eruptions are truly devastating as they can throw out such large quantities of ash and lava that vast areas of country are completely covered. Moreover, so much ash and toxic gases would be thrown into the atmosphere that the eruption would have the ability to prompt climate change and even trigger a mini Ice Age. This level of devastation would destroy whole eco-systems and bring many species to the brink of extinction, with lots of types of animals and plants disappearing forever. And, of course, the Earth is now very heavily populated with us humans, and any of our cities, towns, farmland, factories and roads that were in the path of the volcanic eruption would be destroyed, probably with the accompanying huge loss of human life. 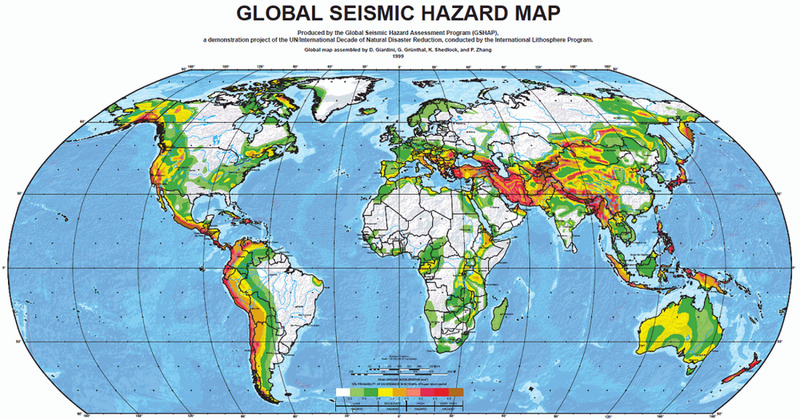 There are only a small number of super-volcanoes in the world, and these include Lake Toba in Indonesia, Naples in Italy, Lake Taupo in New Zealand, Aira Caldera in Japan, and three in the United States, Long Valley, Valles Caldera and Yellowstone itself. Yellowstone erupts every 600,000 to 700,000 years, with the last eruption occurring 640,000 years ago, so are we overdue for another eruption? 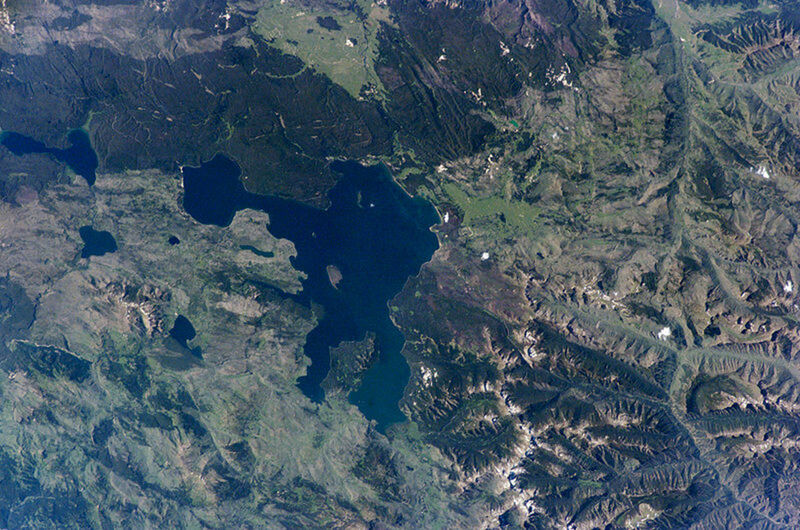 The volcanic area of Yellowstone was formed by a hotspot that is 400 miles below the surface of the Earth. 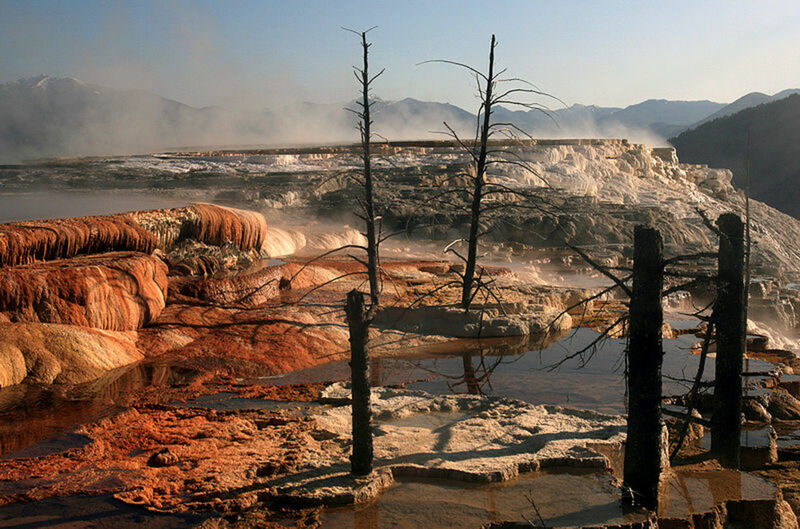 The hotspot rises to 30 miles below the surface and then broadens out to an expanse 300 miles wide, where the hot rocks and magma funnel up from the hotspot and rise up into the magma chamber directly beneath Yellowstone. In the past, Yellowstone has experienced four types of volcanic activity: caldera forming eruptions, lava flows, earthquakes, and steam explosions. The caldera forming eruptions were the most destructive and occurred 2.1 million years ago, 1.3 million years ago and 640,000 years ago. 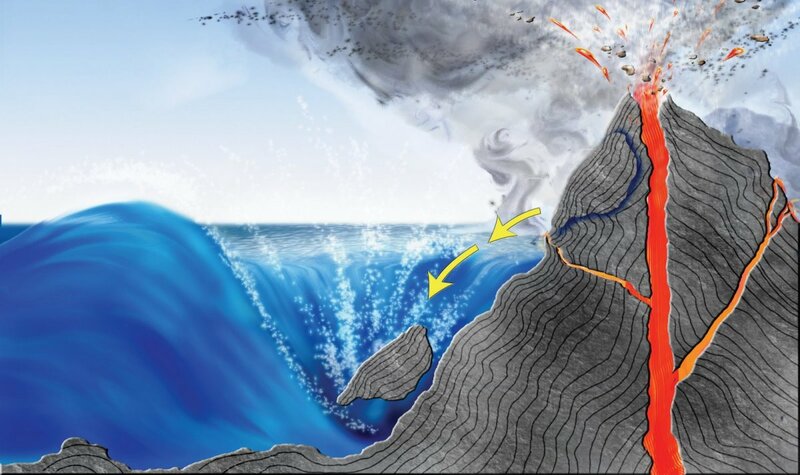 These were huge, explosive eruptions where vast quantities of magma, gas, and volcanic ash were violently thrown out of the Earth’s crust, and pyroclastic flows cascaded with devastating speed across the surrounding country. The caldera itself, which is a cauldron-shaped depression in the ground, is formed by the land collapsing back in on itself after the magma has been discharged during the volcanic eruptions. The eruption of 2.1 million years ago created the volcanic deposit known as Huckleberry Ridge Tuff, and a caldera more than 100 km across. This giant volcanic eruption was one of the five biggest individual eruptions that the world has ever known. So is the Yellowstone Super-Volcano Ready to Erupt? The Blackfoot Indians used to call the area we now call Yellowstone National Park the ‘land of evil spirits’ and if the Yellowstone super volcano is going to stay on schedule it should erupt in the next 70,000 years or so. But is the next eruption a bit more imminent than that? Volcanic activity has increased in recent years in the Yellowstone National Park, and during 2010 there was a swarm of earthquakes. In addition, scientists at the University of Utah have observed that the floor of the super volcano under Yellowstone has risen at a record pace since 2004, with the journal Science reporting that the floor has been rising three inches a year for the last three years. This is the fastest that the floor of the volcano has risen since records began in 1923 and a mass of molten rock the size of Los Angeles has been thrust into the dormant volcano. 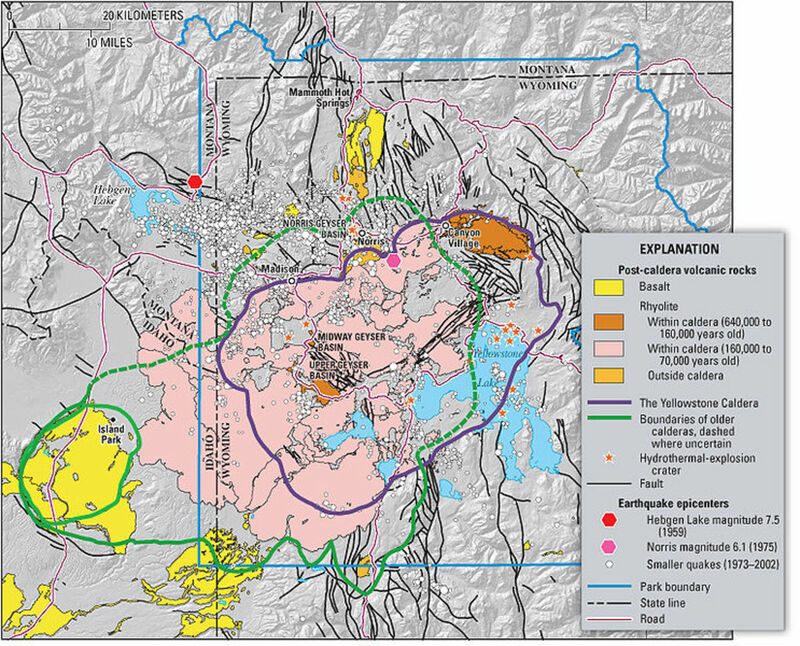 The experts from the University of Utah have stated that the evidence points to the large crustal magma chamber under Yellowstone filling up with molten rock, but they do not know how long this process goes on for before the magma stops flowing in and the caldera collapses again or eventually erupts. Many of the calderas across the world do rise and fall over the years without erupting, but will the Yellowstone caldera keep going up and eventually explode into a cataclysmic volcanic eruption? What Will Happen if the Yellowstone Super Volcano Does Erupt? Unfortunately, the experts have relatively little data on which to assess whether this recent increase in activity in Yellowstone is just part of the super volcano’s natural rhythms or whether the caldera is getting ready to blow again. So what would happen to us and our world if Yellowstone did erupt in the near future? For starters, if you were unlucky enough to be within 100 miles of the super volcano when it erupted you would be killed by the explosion itself within minutes. The exploding plumes of volcanic ash would then swiftly be carried across large swathes of the United States, and it should be remembered that when the super volcano last erupted 600,000 years ago it spewed out a layer of ash that was ten feet deep a thousand miles away in Eastern Nebraska, and covered most of the United States west of the Mississippi. This size of ash dump could happen again in the next volcanic eruption, with toxic air sweeping across two-thirds of the United States choking every living thing in its path. Volcanic ash is made up of fine particles of shattered rock and volcanic glass that is very abrasive, so immediately all aircraft would have to be grounded as if the ash got into the engines when flying the engines would quickly seize up and the plane would crash, making travel incredibly difficult and hampering escape. As volcanic ash damages all kinds of machinery, car, train and ship engines would also be badly affected. Volcanic ash is also very heavy, so as it built up on roofs the weight of the ash would eventually cause many of them to collapse, possibly killing or injuring those sheltering in the building below. Telecommunications would also be very badly affected as telephone lines would be brought down and dense ash in the air could affect mobile phone and TV signals. If you were living in an area suffering with heavy ash fall, you would have to try to leave, as very soon food supplies would run out, power would fail and water supplies would become contaminated by the ash fall. Any crops in the fields would be destroyed and livestock would not survive for very long. When inhaled, volcanic ash mixes with the liquid in the lungs and thickens to a consistency like liquid cement, so face masks would have to be worn when outside. Furthermore, any person who suffered from respiratory complaints like asthma would find their breathing further compromised by breathing in the volcanic ash. 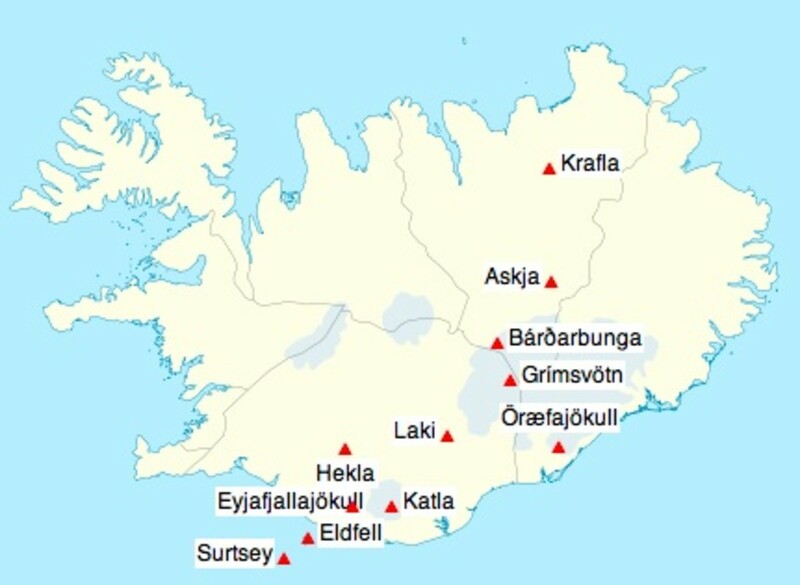 The volcanic eruption itself could go on for days, weeks or even months and it would be very likely that thousands, if not millions, of lives would be lost in the United States both during and after the eruption. Do you think the Yellowstone Super Volcano will erupt in the next few years? Worryingly, new research from scientists in the USA seems to point to the fact that the magma chambers of a supervolcano can fill up far more rapidly than was previously thought after an eruption. It was thought it took around 100,000 years for the huge magma pools deep beneath the earth under supervolcanoes like the one in Yellowstone to accumulate enough pressure to explode, but the new research suggests that it could actually only take hundreds of years. Trying to second guess the behaviour of a volcano is always a difficult, but this new study means that the predictions of when the Yellowstone caldera is next due to erupt could be very inaccurate. The new research is based on studies of a supervolcano that erupted in California around 760,000 years ago, where US scientists analysed quartz crystallisation rates which showed that after the first eruption the magma pool filled up again rapidly enough to cause another explosive eruption only a thousand or so years later. This eruption was so violent that volcanic ash was spread over half of North America, causing massive damage to wildlife and vegetation. 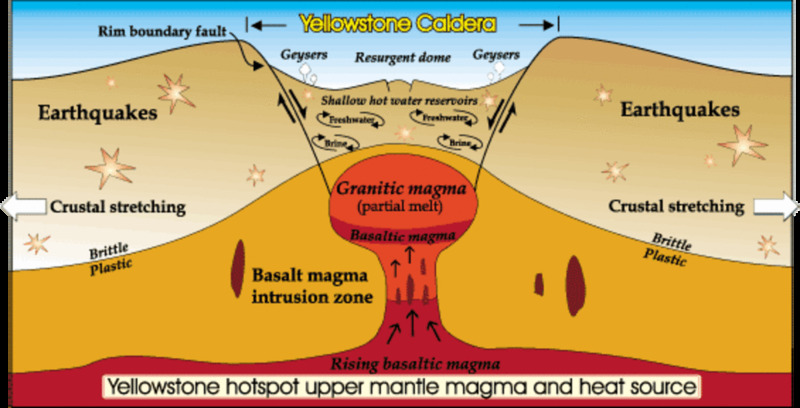 Since the magma chamber beneath Yellowstone has been rising at a speed that has never been seen before since 2004, is this new research yet further evidence that another super-eruption is more imminent that was thought? 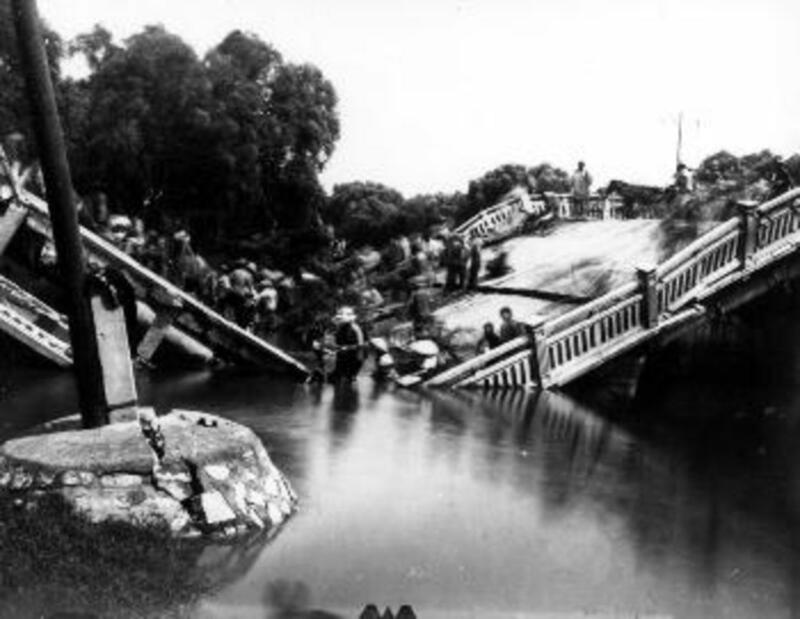 As these natural disasters would be occurring in the United States, it is likely that the world’s economy would go into freefall, with resulting panic and possible riots and violence. A massive rescue operation would have to be mounted to try and get as many people out of the affected areas of the United States as possible, and then find the refugees from the disaster food, shelter and medical aid. As the ash cloud from the Yellowstone super volcano was spread around the globe by the prevailing winds, temperatures would begin to drop and the warmth and light of the sun would be blotted out. Crops would fail around the world, there would be massive food shortages, water supplies would be contaminated and it would be very likely that wars would be started as countries started fighting between themselves for scarce fuel and food. As this is a very bleak picture of our future, perhaps we should breathe a sigh of relief that the giant that is the Yellowstone Super-Volcano still seems to be slumbering on, even if there are some worrying signs that it could be beginning to stir once more. April 2014 - Is an Eruption at Yellowstone Imminent? Footage of bison and other animals fleeing the Yellowstone National Park has gone viral in the last few days and raised concerns the super volcano is about to erupt. People have pointed to a similar phenomenon at the time of the devastating tsunami in the Indian Ocean in 2004, when the wildlife seemed to 'know' they had to leave the low-lying coastal areas and fled to higher ground before the wave hit. National Park officials and senior US geologists are trying to reassure people the super volcano is in no imminent danger of eruption, but the thousands of comments posted on social media suggest that many are still worried. While the park rangers say the animals are just feeling frisky because it's spring and this is perfectly normal behaviour, many believe they are acting on their inbuilt survival instincts and fleeing in a bid to save their lives. Last Sunday there was also a 4.8 magnitude earthquake near the Norris Geyser Basin. It caused little damage and no injuries, but it was the largest seismic event to shake Yellowstone since February 1980. Of course only time will tell if the Yellowstone caldera is going to blow in the next few days or weeks, but for the National Park this is the beginning of the tourist season and this kind of speculation could potentially keep visitors away and harm local tourism businesses. For all our sakes, let's hope the US officials are right because a major eruption at Yellowstone will kill thousands of people immediately, many more in the aftermath and have a detrimental effect on climate, food production and economies worldwide. Is Yellowstone's Super Volcano Going to Erupt? What a fascinating subject for this hub. Very interesting to know about Yellowstone's super volcanoes. This was a very well researched and thought provoking hub. 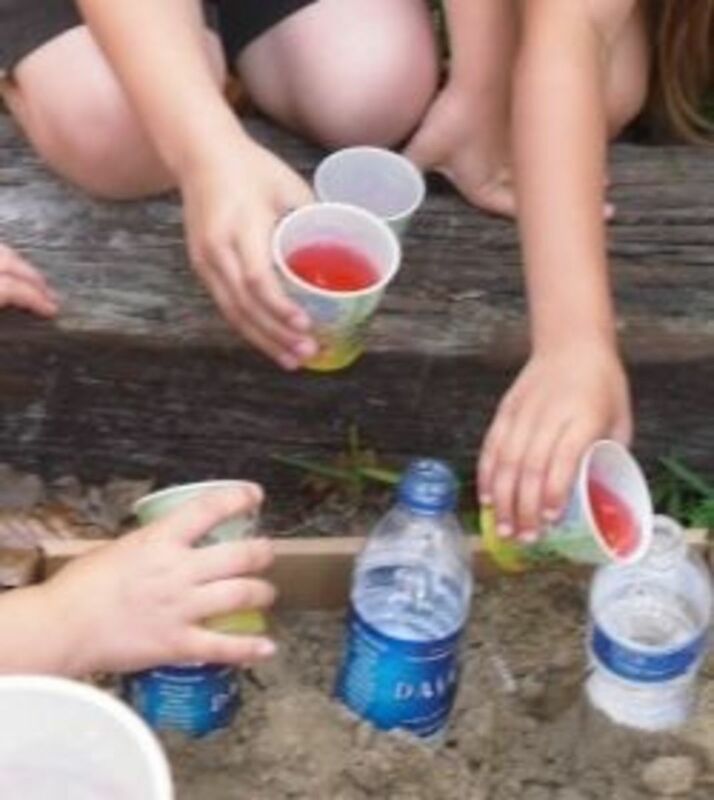 I wrote a short hub on the Yellowstone volcano, but yours is better! I learned a lot. Hopefully it will not erupt anytime soon, but anything could happen. Thank you Prasetio for reading the hub and leaving a comment. I would love to visit Yellowstone one day as it looks so beautiful - but hoepfully not when the volcano blows! I had never heard about this before. Actually I had write about Yellowstone as one of the natural wonder in the world. Thanks for sharing. I learn much from this hub. Voted up! Interesting read on a topic that fascinates me. Have just seen a DVD adventure film based on Yellowstone erupting - what a disaster that would be, for the whole world. it is really scary I hope it does not erupt l am only 10 but still this is life and god will do anything he wants so we just got to go through it. if it does erupt I am really sorry for the people in America. 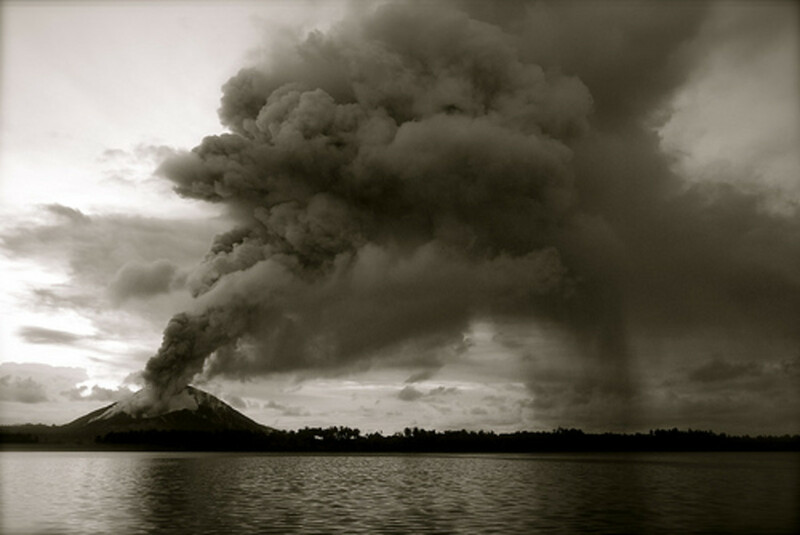 Unfortunately it does not seem that much can be done to prevent the disastrous results of a supervolacano erupting. I visited Yellowstone and really did not think about the powerful forces at work just below the surface of the earth. This was informative and well written. Don't be scared Michelle, just get on with enjoying your life. We never know what might happen in our lives, so the most important thing is to make the most of every day. Mother nature is unpredictable and we humans will never be able to control the awesome powers of our planet, however much we think we can. Thanks for reading the hub, but maybe you should talk to a family member that you trust or a school counsellor and get some help for your anxiety? And if the fear of Yellowstone erupting is causing you to be fearful, then maybe you should stop watching documentaries and reading articles about it? Concentrate on the good and pleasant things in your life and the world around you - there are plenty if you look! Glad you found it useful Mr. Man. There might be many reasons why the human race would be forced to evacuate Earth, but where would we go and how would we get there? Also, after trashing our own planet, maybe we should learn to clean up our own mess before we go out and trash another one. If this volcano erupts it's the end of the whole western United States and quarter of Canada. It will cause a tremendous ash clouds and chemicals that will engulf everything in it's way and leaving everything lifeless. Thanks for reading about the possibility of the Yellowstone Super Volcano erupting Gordon, and glad that you enjoyed the hub. Fantastic Hub, CMHypno. I have seen a few documentaries about super volcanoes and am fascinated by the concept. You explain them and their incredible dangers very well. Hi Jamie, thanks for reading about the Yellowstone Super Volcano and leaving a comment. Don't live your life in fear of natural events, but I think the human race should have a bit more respect for the power of mother nature. Wonderful hub! I am totally scared of super volcano. I'm amazed. I have seen programs about this and it is very scary indeed. The rest of the world wouldn't be able to help us if the eruption was big enough. They would be busy trying to survive as well. Hi crystolite, thanks for commenting on the Yellowstone super volcano hub. Unfortunately, it is rather more than feasible that Yellowstone will erupt again, it is more than probable that it will. There are regions of the planet that are volcanically active, and a lot of this activity is cyclical, so the experts have graphed how often Yellowstone erupts and it is now within the time frame when another eruption could reasonably be expected. am happy you have written this topic, I really hope that the Yellowstone volcano doesn't ever go off again, but it is very feasible that it will at some point. nice and great hub thanks. Your hub caught my eye due to all the crazy things happening it seems around the world at the moment.Lets hope this volcano goes guiet again for everyones sake.It does seem that a lot of Volcanoes are waking up around the world at the moment.We are all feeling a little on edge.Great hub well written. When my mother, niece and I visited Yellowstone years ago, my mother felt very glad to leave that place despite its obvious beauty. Reading this hub almost makes me think that when it erupts it would almost be better to be killed outright than die a slower death later as seen on that video. At least one would not suffer a long time. Makes me think of the Pompeii eruption and those people who were killed instantly. This was well written and the video was great. I really enjoyed it. Fascinating stuff. One day at a time drbj, as they say. Glad that you enjoyed reading about the Yellowstone Super Volcano, and let's all hope that we are not all toast tomorrow. But it puts life into perspective - you have to make the most of each day. I dunno - CM - as if I didn't already have enough to worry about, now I've got this super volcano eruption possibility to think about, too. Which you wrote about superbly, BTW. Hi Wintermyst, you are lucky to live in a very beautiful part of the world. I really hope that the Yellowstone volcano doesn't ever erupt again, but it is very likely that it will at some point. Good luck with finding the perfect cave! I am about 200 miles from Yellowstone. I am always looking for caves near where I live just for this reason. This is a great piece. National Geographic did a very good piece on this disaster in the making a few months ago, and they have a very good online interactive program through their website.